Silhouettes are designed with two sheer fabric layers that helps to soften the sun light to give your home a natural glow without the glaring light. 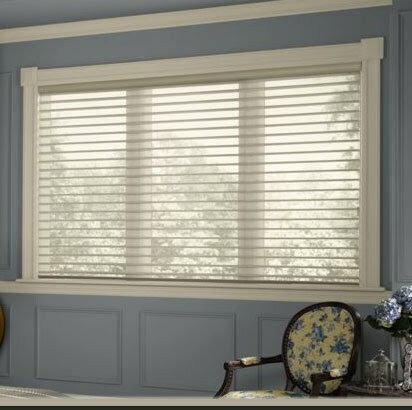 It gives your space an elegant look anywhere you want to put them, such as the french doors of your study to give you soft, natural light or the arch window in your foyer to lighten up the space without the harsh light. The Hunter Douglas Alustra Silhouettes will give your home a touch elegance and fine design.